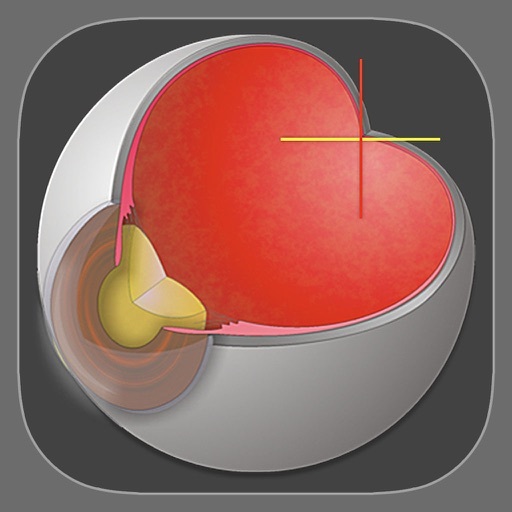 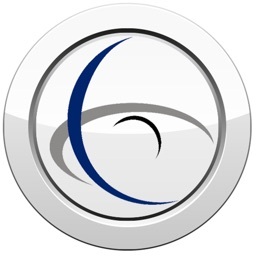 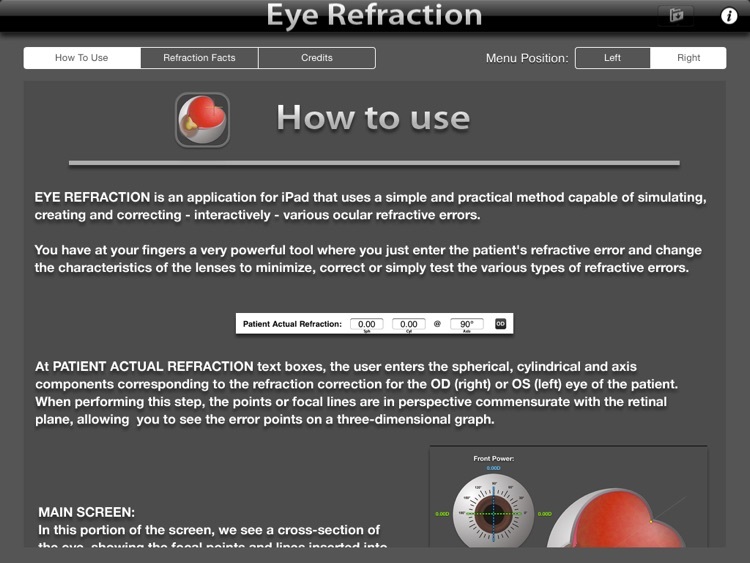 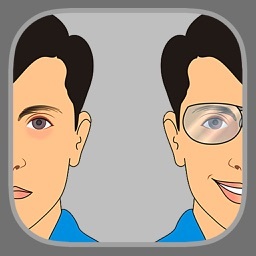 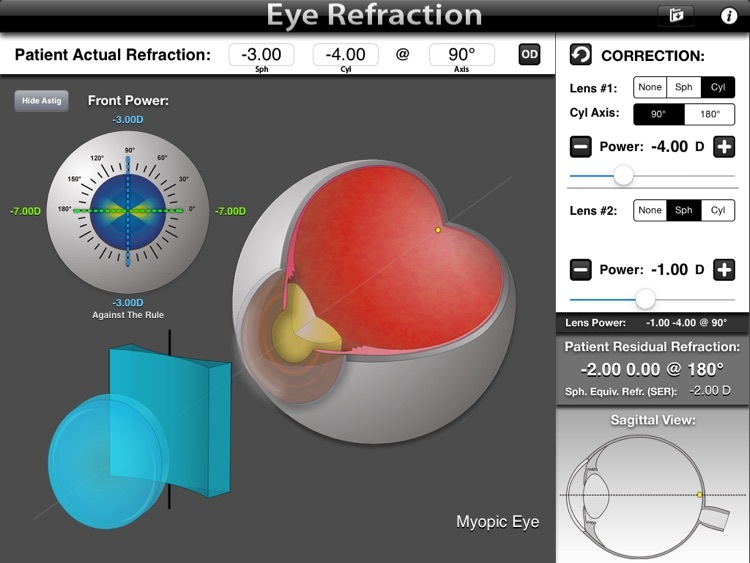 EYE REFRACTION is an application for iPad thats uses a simple and practical method capable of simulate, create and fix - interactively - various ocular refractive errors. 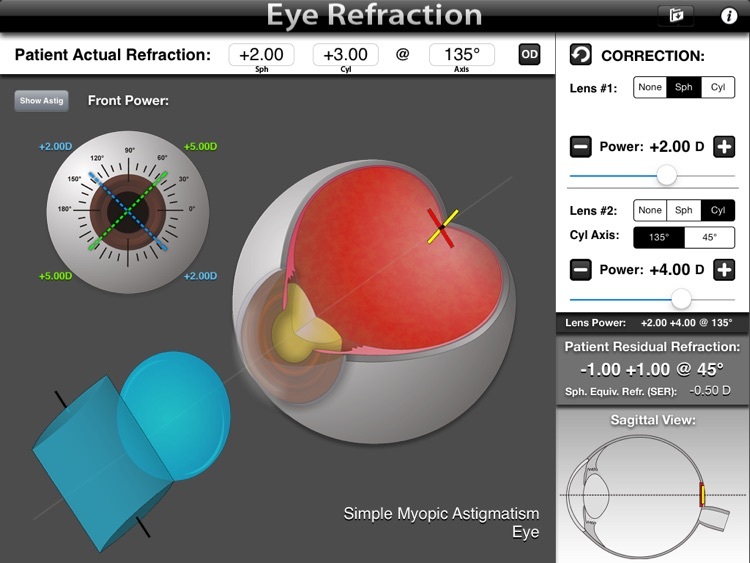 Now you have at your fingers a very powerful tool where you just enter the patient's refractive error and the application allows change the characteristics of the lenses to minimize, correct or simply test the most various types of refractive errors. 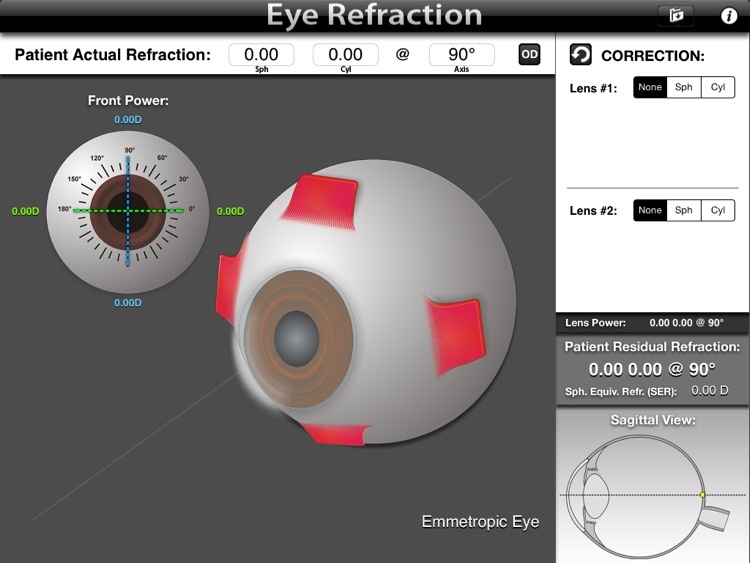 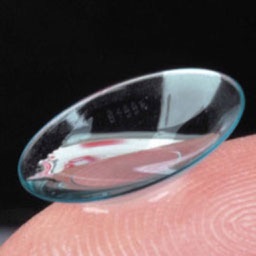 The user can select spherical lenses (Sph) or cylindrical lenses (Cyl), allowing interactive correction of refractive errors. 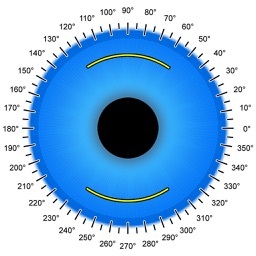 When the lens selected is the cyl type, you must specify the axis of it will take effect. 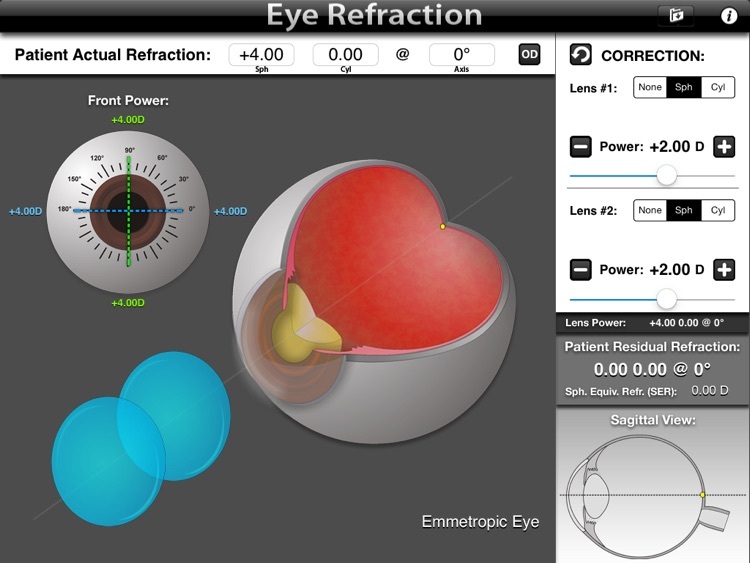 As the values ​​are placed in the input boxes, the lenses selected will appear in front of the eye and the effect promoted shown.